In terms of product breakdown, it is anticipated the iPhone XS and iPhone XS Max will make up around 16 percent of the quarter's units, roughly similar to the product mix in the same quarter for 2017. 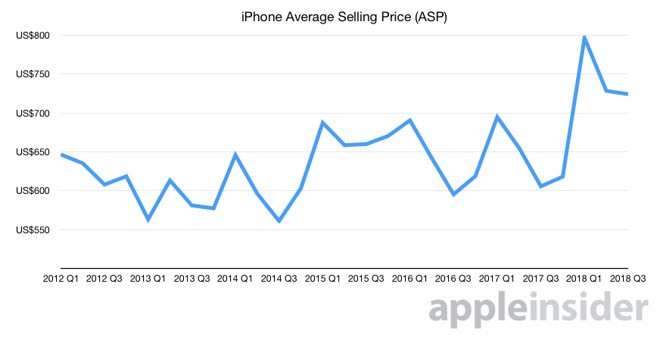 Survey data also seemingly supports the higher ASP, with 36 percent of customers said to be paying more than $900 for their iPhone, up from 26 percent in the previous quarter. Moving into holiday quarter guidance, Apple is thought to shift around 78 million iPhone units, up 3 percent on Street expectations, with new models making up 70 percent of the total. The blended ASP is thought to be $836, up from the Street survey's $805 prediction. Revenue is tipped to be 3 percent above Wall Street, at $95.5 billion for the quarter. According to UBS Evidence Lab's Google search analysis, the interest of the iPhone XS and iPhone XS Max is similar to last year's releases in the United States, slightly lower in Europe and Japan, but higher in Hong Kong. A study on product availability also suggests the iPhone XS Max supply has improved in the last few weeks, in line with UBS' Asia team's report stating iPhone XS Max procurement is up 2 million to 22.5 million while iPhone XS procurement is down 8 million. ASP is considered the "key swing factor" for revenue, due to "little movement on total units at this point," the report states. While an ASP of $850 may be seen for the holiday quarter, UBS believes this would require a "degree of tail cannibalization by the CR that is not currently suggested by procurement." In Loup Ventures analyst Gene Munster's latest proclamation, he reiterates comments made shortly after Apple's special event from Tuesday, in that the results could be validation for his perceived paradigm shift of "Apple as a Service." The previously-raised concept is that investors could soon look at Apple as a "hardware business performing increasingly like a software business," with continued Services growth becoming more important than the product cycle hype. On Tuesday, Munster suggested Thursday's results could serve to validate three out of four pillars for the new paradigm, with iPhone units of 48.1 million predicted and considered "a non-event." The ASP will however be important, with Munster putting the iPhone at $791 against the firm's own Street survey of $756, supposedly demonstrating Apple finding more ways to earn money from its existing user base. Services growth is pegged at 20 percent, down from the previous quarter's 28 percent growth. Approximately $25 billion in capital return could be raised, which would indicate a three-year path to "net cash neutral" as opposed to a timeline of five or more years. The iPhone XR will become the most popular iPhone in 2019, Munster suggests, accounting for 38 percent of unit sales, with it becoming "everybody's iPhone" due to being a "premium device at a more accessible price point." 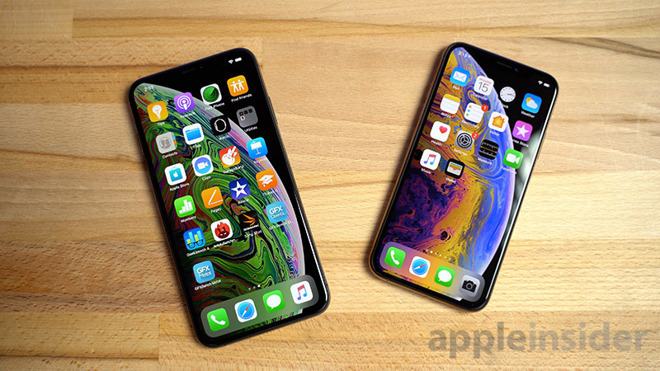 Despite the lower cost, the iPhone XR should help improve the ASP in 2019, with a weighted ASP of $796 for that device due to the assumption only 42 percent of users will opt for the 64-gigabyte capacity, while 40 percent and 18 percent shares are expected for the 128-gigabyte and 256-gigabyte variants respectively.